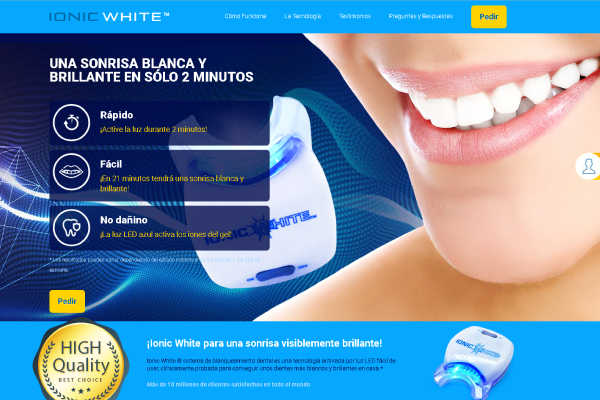 Ionic White is a worthwhile teeth whitening affiliate program localized especially for users from Spain. It is an ionic technology activated through a LED light – a phenomenal way of getting a white and shiny smile at home. It is not just a quick and easy teeth-whitening system but also a product of a supreme quality.